My Cleaning Products launched its organic-based ant repellent spray. The solution gets rid of ants effectively while providing a long-lasting protection against the pests, it explained. 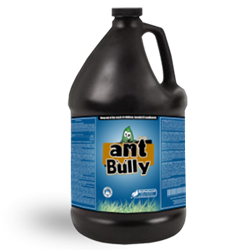 ...anyone looking for a truly reliable ant repellent without having to worry about dangerous chemicals should pick it[Ant Bully] over others. And as it reasoned out, that's because it is both effective and safe. Ants may be small but they could be a very big problem at home. So to help home owners get rid of them, My Cleaning Products introduced its organic-based ant repellent solution. With its advanced formulation, it said that it could make ant removal effective as well as safe. There are several species of ants that could invade a home. There are also various problems that they could bring. Though their infestation is generally annoying, some of them could particularly cause food spoilage, property damage and bite stings. If left untreated for a long time, the presence of ants could be hard to eradicate. That is why at the first sight of them, action must be taken. There are now several pesticides that could help get rid of ants. The use of them makes the ant removal process easy and fast. However, My Cleaning Products said that most pesticides today contain harmful chemical ingredients. They leave residues that could harm people's health and pollute the environment, it stated. Because of that, it advised the public to always take a keen look at the product before purchasing it. As it said, it pays to check their content as it could help prevent health risks. Additionally, it recommended the use of Ant Bully. It stated that anyone looking for a truly reliable ant repellent without having to worry about dangerous chemicals should pick it over others. And as it reasoned out, that's because it is both effective and safe. Ant Bully, according to MCP, is a minimum risk pesticide classified under FIFRA 25(b). It detailed that it is made with organic ingredients and could eliminate ants fast without releasing harmful element. Moreover, it said that it could provide ant protection to surfaces and items lasting up to three months. With those benefits, the company asserted that Ant Bully is truly a cost-effective ant removal help. So, it highly recommended it to the public. And as it detailed, it is now available at My Cleaning Product's official website MyCleaningProducts.com.